Kourtney Kardashian Shows Off Daughter Penelope's First Haircut and It's Super Chic! Penelope Disick Gets Her First Haircut & It's Super Chic! Penelope Disick has redefined what “short hair don't care” means! The six-year-old got her first haircut and she went for a drastic new look that has her twinning with one of her aunts! Scroll through for the pics! 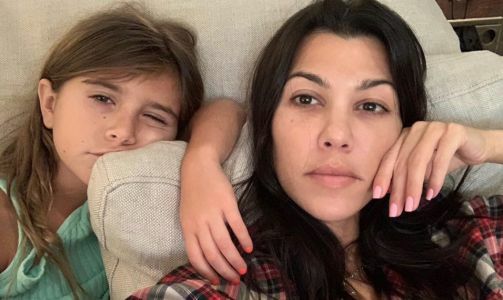 After years of mom-shaming, Kourtney Kardashian had her six-year-old daughter Penelope Disick's hair cut for the first time. The haircut took Disick's hair from past her shoulders to a shoulder-length lob.